Starting this Saturday morning the Nagasaka Gondola will roll back in to action after a few months off since the Winter snow season. 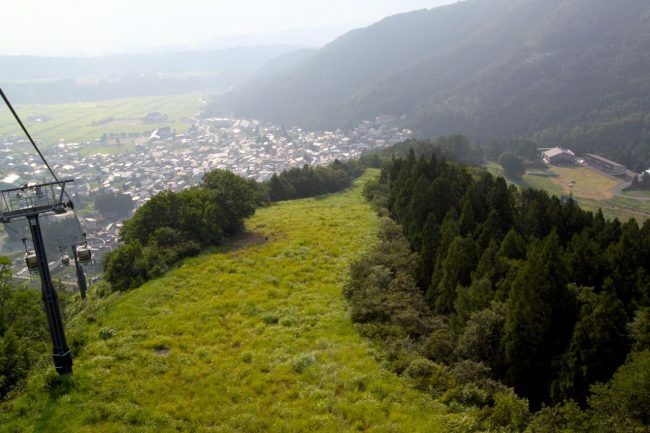 A great way to get up to the top to Yamabiko with ease and enjoy the forest canapé below. Looks pretty different in Summer! That run below is the infamous Ushikubi. Has a few more bumps on it in Winter. Still a wild ride down in Summer! 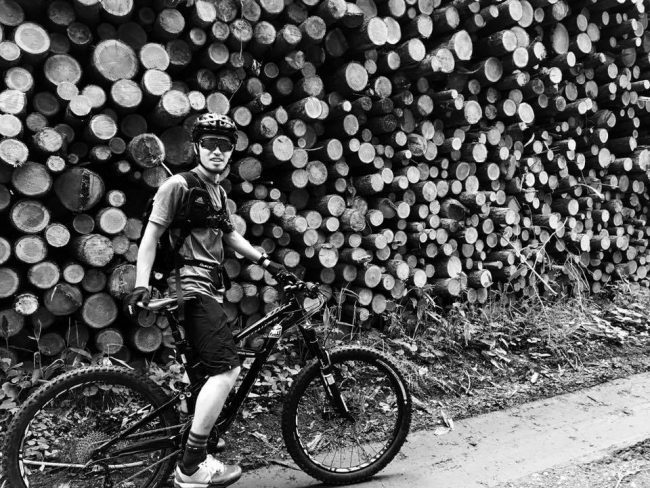 You can put your Mountain Bike inside the Gondola with you and then cruise down in style on the amazing network of Mt Bike trails that the local crew have built over the last few years. If prefer a smooth ride you can come down the road which is the Forest Home Trail in winter. 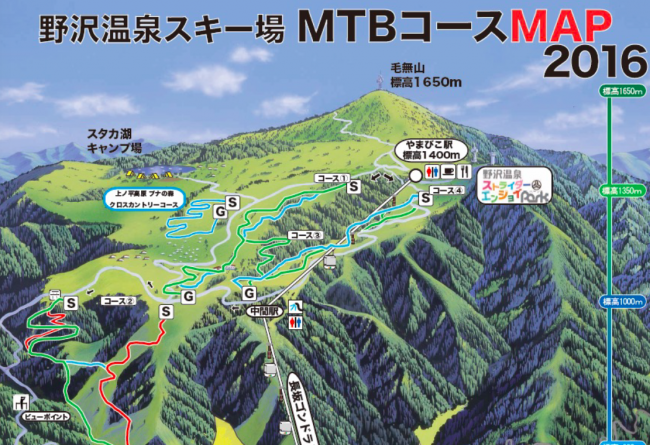 Can also ride the other way on a road bike and all the way over to Shiga Kogen. The Average Temps at the top at 1400m above sea level over Summer is 19.8 degrees so a welcome cool change from Tokyo! 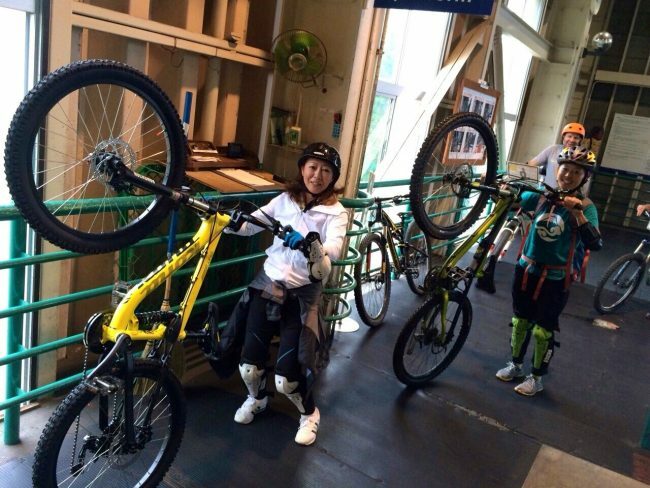 You can rent state of the art Mountain bikes from Take san and the friendly team at Mt Port in the base of the Gondola from about 5000 Yen a day including protective gear. They also run lessons and guided tours a few times a day from 4000 Yen per person. There are various courses back down the hill depending on what level you are can check out the trail map or ask the staff. The total length of the courses from top to bottom is 10km so a very exhilarating ride down and not unlike the buzz you get from Skiing down over the winter months.